Our apartments in Bethesda give you access to the best of holiday shopping. The Mall. It’s the hub of the holidays, especially when it comes to seasonal gift buying. The Westfield Montgomery Mall is a great one. 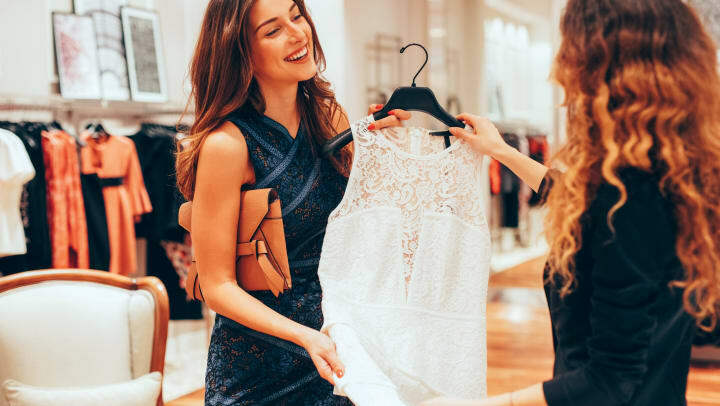 From Abercrombie to Zara, there is the full complement of high-end national chains and smaller boutiques, so you’ll find the right store for everyone on your list. Plus, there’s a the food court to take a rest and recharge amidst the throng of holiday shoppers. Step outside of the mall to find a retail destination of a different sort. Bethesda Row offers some of the same allure of the great shops of the mall with a more notable urban feel. Stroll down the street and partake in a shopping experience that harkens back to days past when kids pressed their noses against the glass of holiday window displays to see all the wonderful things. You can be that kid gazing at Apple’s newest “toys”, or the latest fashions at some of the boutique clothiers. If it’s fancy kitchenware, there’s a Williams Sonoma and a Le Creuset store to put a smile on your foodies’ faces. Much like the mall, there’s something for everyone along this festive stretch of Bethesda Avenue. Just outside of Gallery Bethesda II, you’ll find an eclectic selection of shops and restaurants for any last minute gifts. You can’t go wrong with the gift of a great meal to any of your friends and family in the area. There is a large selection of amazing restaurants of all cuisines throughout Woodmont Triangle, any of which would be a terrific stocking stuffer or card-filler. Hopefully this gives you a start, or finish, on your shopping odyssey this year. And maybe while you’re at it you can gift yourself a beautiful new apartment in Bethesda at Gallery Bethesda II. Schedule your tour today to coincide with your upcoming shopping spree!